Wild Bill Hickok Deluxe Frame Set. 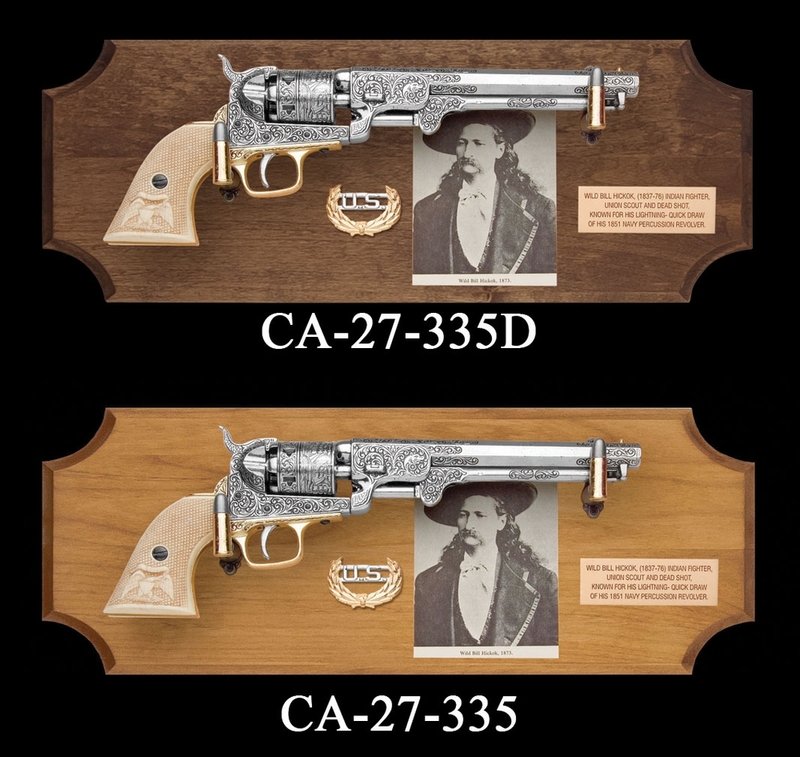 This handsome frame set depicts Wild Bill in 1873 and features a non-firing replica of his famous 1851 Navy nickel plated revolver with simulated ivory checkered embossed grips, of which he carried a pair. A U.S.hat pin, brass identification plaque and custom bullet hangers which allow the pistol to be removed from the wood frame complete the set. All orders processed within 48 hours. Please allow 7 business days for shipping. Frame Size 18" x 7"